The La Sierra Loop begins on the southwest side of the trailhead. The trail consists of moderate terrain with moderate changes in elevation. 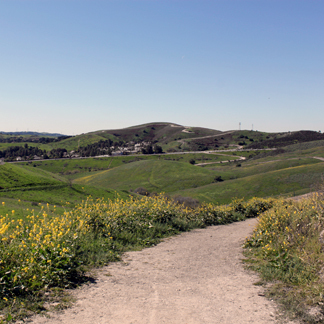 Hikers will enjoy viewpoints of the northwest side of Chino Hills, Chino Hills Parkway, and the Grand Avenue Trail. The La Sierra Loop ends at the trailhead. Cumulative Elevation Gain: 385 ft.